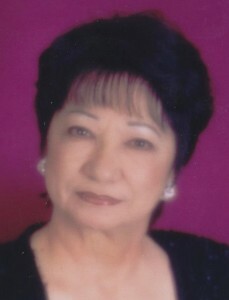 Arlene R. Brown 73, died Friday, Aug. 16, 2013 at the home of her daughter after a brief illness. She was born Nov. 30, 1939 in Newark, N.J., the daughter of the late John J. and Catherine (Stonesifer) Saam. Arlene grew up in Clayton, N.Y. and had lived the majority of her adult life in Port Charlotte, Fla. She moved to Whitehall in 2005 to be closer to her family. She was of the Methodist faith and enjoyed crocheting, spending time with her great grandson and also going to casinos. Arlene married Frederick Brown on Jan. 14, 1984 in Port Charlotte, Fla.
She is survived by her daughter Cindy Reed and husband Michael, of Whitehall, by her son John Powell and wife Carolann, of Dresden, by her grandson Robert Reed Sr., of Florida and her great-grandson Robert Reed Jr., of Whitehall. She is also survived by her step daughter Carrie Mocciaro and husband Harry, of Syracuse, by her step-grandson, Rosario Mocciaro, of Syracuse, also by several nieces, nephews and cousins. She was predeceased by her husband Frederick Brown on Sept. 12, 2004 and also by a sister Barbara Darou. In keeping with her wishes there will be no funeral services. Arrangements are under the direction of the Ducharme Funeral Home Inc.